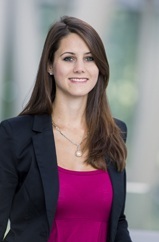 After completing her Master of Business Research (MBR), our college Prisca Friedrichs has left the Institute for Strategy, Technology and Organization in September 2014. Prisca joined the ISTO in the autumn of 2012 and was responsible, among other things, for the personnel planning of the institute. Furthermore she was a key member of the organizational team of the IIIrd ICT Conference Munich. After the submission of her project study, Prisca has left the ISTO at the end of September. We thank her for the fantastic time, her valuable support and wish her all the best for her future endeavors!